 The BMGO (Brad Miller Gala, Auction, & Golf Outing) is the largest annual fundraiser to benefit Big Brothers Big Sisters of Northeast Indiana. Hosted by former NBA Star and Little Brother Brad Miller, this three-day event features a Saturday gala & auction (Allen Co. War Memorial Coliseum), a Sunday Classic Gold Sponsorship Golf Outing (Glendarin Hills Golf Club) and a Monday Golf Outing (Noble Hawk Golf Links). The event kicks off in Fort Wayne and features cuisine showcased from the greatest restaurants in Fort Wayne, exhilarating live entertainment, exciting silent and live auctions featuring unique autographed items & memorabilia. An exclusive Sunday Classic will be hosted for Gold Sponsors+ at Glendarin Golf Club (3333 Glendarin Way Angola) beginning with a luncheon at noon and 1pm tee time. The Monday Golf Outing will be held at Noble Hawk Golf Links (3005 Noble Hawk Drive, Kendallville) featuring two shotgun starts at 7:30 a.m. and 1:30 p.m. play is followed by a post-outing meal and a firework display at dusk. This event will take place on August 25th, 26th, and 27th. Donate a brand new auction item valued at $75 or more by 08/16/18 and receive 2 free tickets to the Gala & Auction! The Gala & Auction will feature performances by the Fort Wayne Funk Orchestra and renown magician Carl Michael! You won’t want to miss this! Various Sponsor and Ticket options are available.